At Outdoor Medical Solutions we are able to offer an excellent ambulance service. 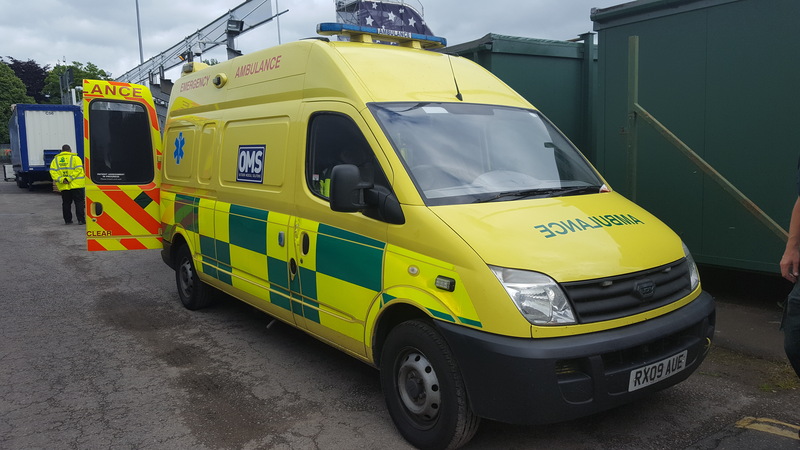 Our fleet of vehicles including front line ambulances, 4×4’s and rapid response cars fully equipped to NHS standard can meet every patients need. If you are looking for comfortable, professional and friendly transport to and from hospital or to an appointment Outdoor Medical Solutions can help. Our staff are highly experienced and caring individuals and an exemplary level of care is guaranteed. All patient transport services are individually priced and no journey is too long or too short. We are able to cover the whole of the UK and Europe. We are 100% reliable and quality of service is ensured. 24 Hour NHS front line ambulance support facility available. Critical care patient transport and high dependency repatriation service. We can transport organs and patients ready for transplant. It has constantly been our vision to supply excellent, patient focused experience that is greater than the expected values of our customers. With concentrations of safety, training and infection control we are able to offer incomparable levels of patient care guaranteeing that the patient is at the middle of everything we do. We adhere to all Health and Safety and CQC Regulations ensuring you remain in a safe environment throughout your private ambulance service. We are constantly looking increasing our skill set here at Outdoor Medical Solutions to make sure we continue to provide only the highest quality of service.